Please note: We know the steps to download screenshots can seem complex if you’re not familiar with some of the applications listed, so we’d love to personally walk you through it. Simply contact us to get started. Hubstaff screenshots are retained for 6 months on paid plans and 1 month on free plans. In order to save your screenshots, you will need to export them. Fortunately, we have a tool that makes it very easy to quickly export your screenshots to retain for your own records. If for whatever reason you get stuck somewhere in the process, don’t hesitate to contact support@hubstaff.com for further assistance. With Ruby installed on your system, you can run the hubstaff-export.rb file found at the repository. Click the “Download ZIP” file to quickly download it to your computer. Unzip the hubstaff-export.rb file to the location of your choice. Open a terminal window or command prompt and navigate to the directory where you have downloaded and unzipped the hubstaff-export.rb file. You may change the directory by using the ‘cd’ command (without quotes) i.e. cd Desktop or cd Downloads. Replace AppToken with your App Token, bob@example.com with your Hubstaff login, and MyAwesomePass with your Hubstaff password. The Authentication token and App token are cached into a file named hubstaff-client.cfg in the current directory. (i) Need help with this step? Contact support@hubstaff.com for further assistance. Start and Stop time are required. Start and stop time should be in the following format: YYYY-MM-DDThh:mmZ where Z means that the time is in UTC (or it can be a timezone offset). Example: 2015-06-01T04:00Z or 2015-06-01T00:00-0400 or 2015-06-01T05:00+0100 all represent the same time. If you are in a time zone that is +08:00 in order to specify times in UTZ (the Z suffix to the ISO 8601 date time format) you need to subtract 8 hours. Another way to specify the time is to explicitly specify the time zone in the iSO 8601 format e.g. If you want to specify time in eastern you need to use an offset on the time e.g. 2017-04-24T08:30:00-0400 (for DST) or 2017-01-01T08:30:00-0500 (for non DST). Or convert your times to UTC first when using the “Z” suffix. After the start and stop times, you can add optional parameters. In the example above, -o 84 means Hubstaff organization with the ID 84. 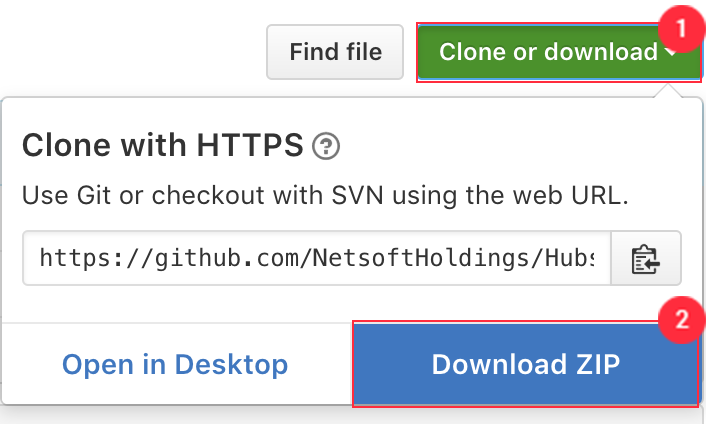 The “-i both” option means that both full size and thumbnail images will be downloaded. Other options are “-i full” (to download full size images only, this is the default), “-i thumb” (to download thumbnails only) and “-u 12” which denotes a specific user on the organization. The screenshots will start to be downloaded to your current directory. Once screenshots are deleted, they cannot be recovered. Please make sure to export your screenshots before they are removed. See a complete breakdown of Hubstaff’s data retention policies. If you’re on Windows, you may get SSL errors when you try to authenticate or export the screenshots. Next, you’ll need to create an environment variable called SSL_CERT_FILE and set its value to where you downloaded the cacert.pem file. 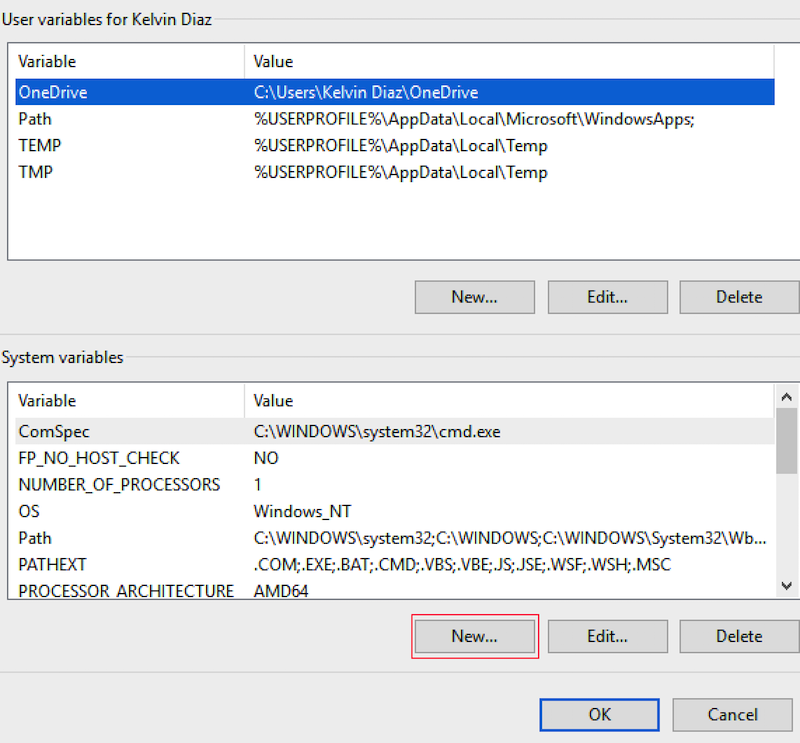 If you’re not sure how to create an environment variable, please see the instructions below. (i) Hit a roadblock? Contact support@hubstaff.com for further assistance. 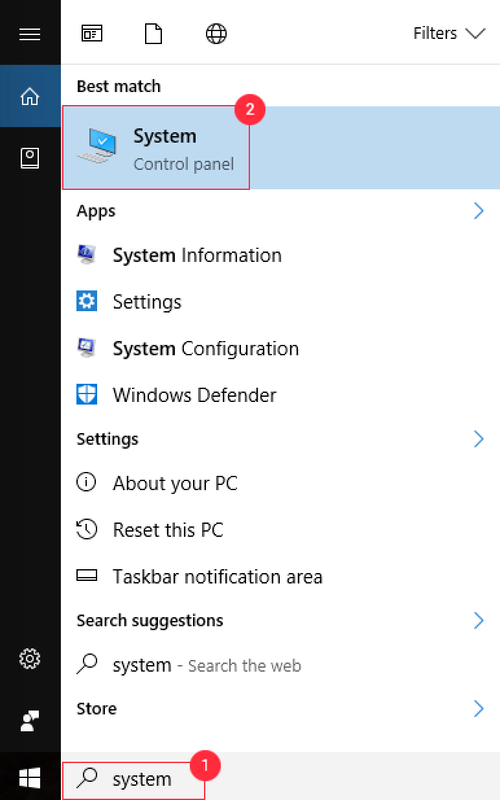 First, type “System” into your computer’s search bar and select the “System” option for the control panel. Next, you’ll want to click on “Advanced system settings” link on the side. 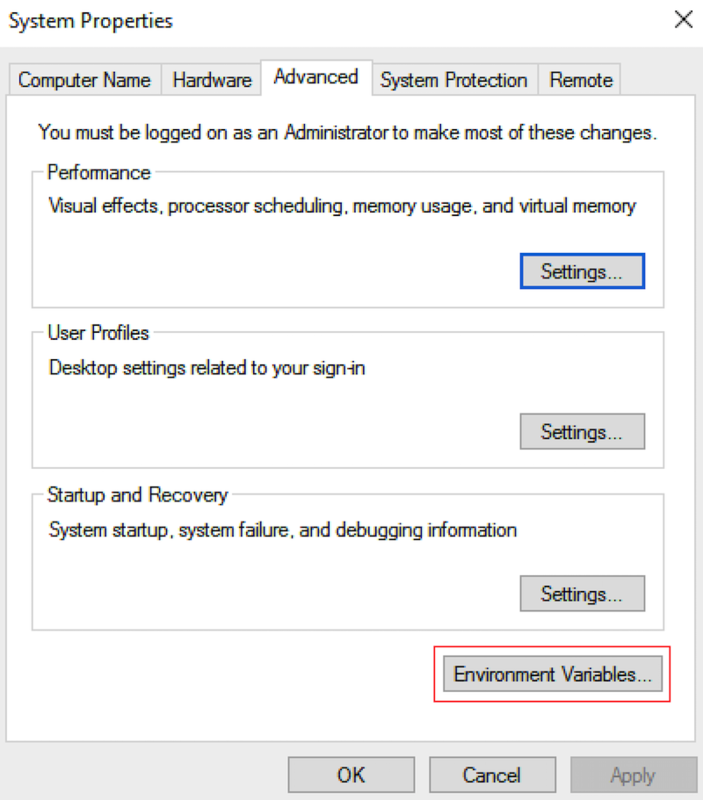 From there, click the button labeled “Environment variables”. Under system variables, click “New”. Once you’ve done that, fully close out of all command prompt windows you might have open and restart the command prompt. You should no longer receive the SSL errors.